Since 1920, the Salzburg festivals have been attracting and enthusing an international audience. They have often been called the biggest and most important festival event worldwide. If you plan to stay in Salzburg during the festival seasons summer, Easter or Whitsun, you will be impressed by the multitude of the various operas, concerts and theatre plays which Salzburg offers you. Every year, the world stars among conductors, singers, musicians, directors and actors honour the Mozart town Salzburg with their performances. They all create highlights of their special art in these few weeks. The town Salzburg with its baroque architecture offers the perfect setting for this festival of classical music. Even if you could or would not obtain tickets for the Salzburg festival, you still can enjoy the great performances in Salzburg. Many festival productions are broadcast live on a big screen near the cathedral. Something special: free access and excellent culinary offers are at your disposal. The best-known performance of the Salzburg festival is Hugo von Hoffmannsthal’s “Jedermann”. Directed by Max Reinhardt, the performance on 22 August 1920 on the Domplatz signifies the birthday of the Salzburg Festival. And on the same square, the rich man still lives and dies every year. You should not miss this open-air experience; even today the best directors and producers are invited to adapt this play. 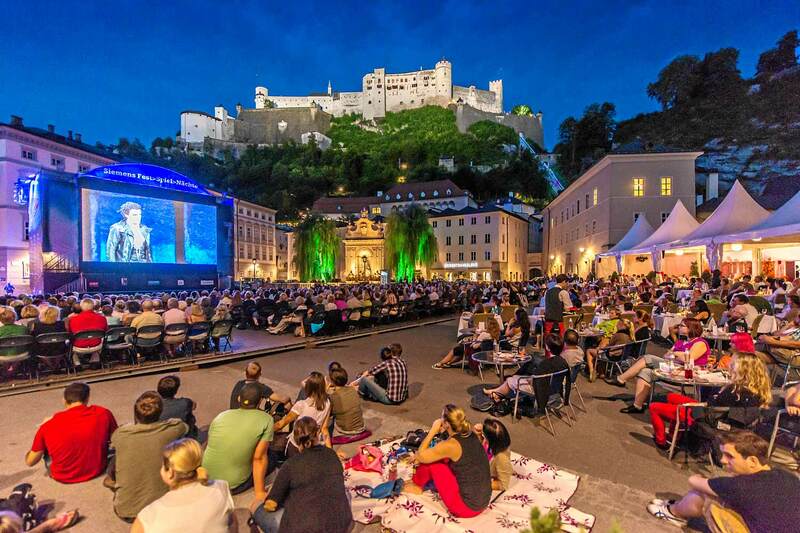 The Salzburg festivals were intended, from the beginning, to present top performances of art in the baroque residence town of Salzburg, far away from the hectic of the metropolis’. This is one of the important criteria of the festivals even today. Experience Salzburg at its best – the festival time is possibly one of the most beautiful times to spend in Salzburg.